The below post explains about Job work procedure under section 143 of CGST Act,2017. Section 143 of CGST Act, 2017 explains Job work procedure as below: (The amendments if any will also be updated here soon). job-worker on the day when the said inputs were sent out. job worker is not registered. from any treatment or process carried out on the inputs by the principal or the job worker. The above information clarifies about Job work procedure under section 143 of CGST Act,2017. 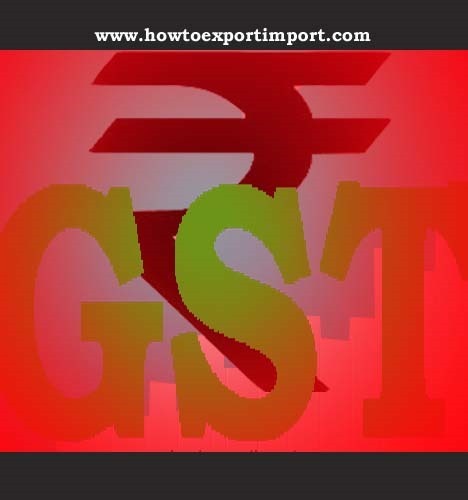 GST for knitted or crocheted clothing accessories, articles of apparels. Sandeep Bhatnagar: On 03 July 2017 How do file intimation for sending goods to job worker ? Satish M M : On 07 July 2017 We are making some plastic items job work basis. This is comes under GST? How much persentage has come? How do sending goods return after finish the job work? rajesh thakkar: On 11 July 2017 dear our quarey is , our job work service required taxable yes or no. we are manufacture and job work for same product. we are mainting all records separate for job work and manufacture. we provide job work service for manufacture product on behalf of other manufacture also. in that, case ,what is tax liability on service providing to other manufacture. mrityunjay biswas: On 08 August 2017 We are making some plastic woven sacks items job work basis. This jobwork charges under GST? How much persentage has come? How do sending goods return after finish the job work? j. sundaram: On 21 August 2017 we are manufacture of iron castings. After manufacture, we are sending 1. castings for Grinding to remove fins in the castings 2. sending castings for machining. For both activities, we are sending under challan for Labour charges only. On completion of the work, they return the jobs to us. we would like to know is GST is applicable. Mandar : On 30 November 2018 its required to intimate to GST officer to start any job work activity ?